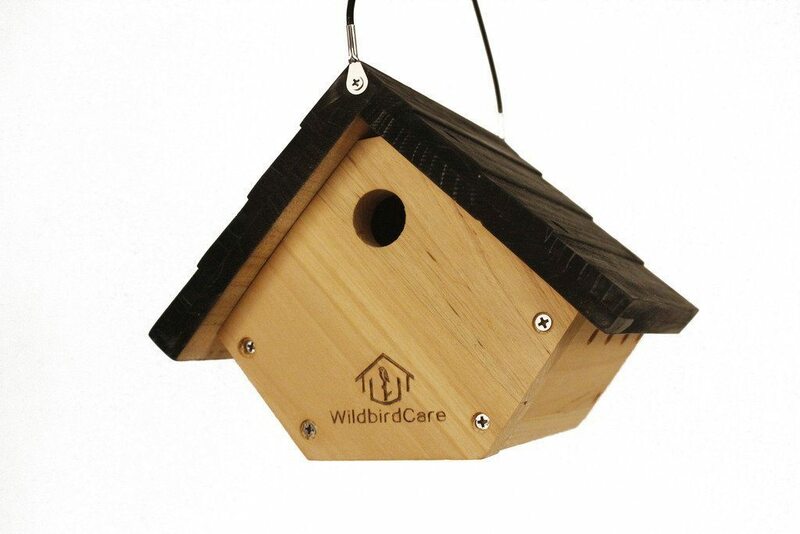 Something as simple as hanging a wooden bird house can have a profoundly positive impact on the environment. Bird houses themselves look good and they create the right habitat for so many different types of birds. Attracting birds to the garden can really change the ambiance, which is one of the main reasons why bird houses have become so popular over the past decade. Chances are that you’re already thinking about the selection of a bird house if you’re already reading this article. Chances are that you’ve heard about someone that already has a few in the garden or you simply like the idea. Wondering why more and more people are looking into bird house buying options and hanging those in their yards? Here are some of the main reasons why. The observation of birds is a truly relaxing, enjoyable activity. Many people use it as an opportunity for countering everyday stress and getting closer to nature. Bird houses will get their inhabitants quickly. Thus, you’ll wake up in the morning to the wonderful songs of the little couple nesting in the bird house that you just placed in the backyard. Things can get even more exciting if you add a couple of bird feeders and bird baths to the picture. You’ll be giving birds everything that they need to have an enjoyable life. They’ll pay off with their playfulness and songs. In addition, birds will make it a lot easier for you to do natural pest control in the garden. Over the years, increasing numbers of people have understood the importance of natural and organic gardening practices. Chemical-based pesticides and herbicides are losing their prominence. Gardeners are now looking for natural ways to grow bigger and better crops. 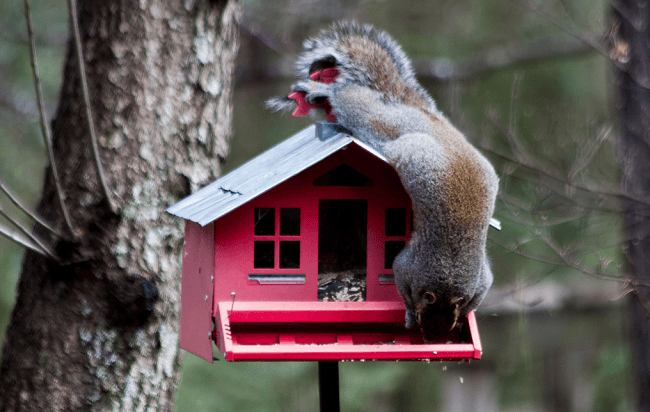 Bird houses are capable of providing the perfect opportunity. As already mentioned, birds will do all-natural pest control. They will eat various types of caterpillars, bugs and worms that could potentially damage the crops. There will be no need to use pesticides and you’ll enjoy delicious and organic fruits and veggies. In addition, birds are the perfect little helpers when it comes to natural weed control. Birds eat all kinds of seeds and sprouts. They’ll deal with many of the weed seeds that the wind brings in the backyard. As a result, gardeners will be left with a lot less work. Urbanization has destroyed the native habitat of so many bird and animal species. Many birds have lost their homes and become much more vulnerable. People that hang bird houses help for the restoration of the natural balance, providing birds with a shelter against the elements. Bird houses give native species a warm place in the winter. They offer some protection from predators. The bird house could also turn in the perfect resting place for migratory birds. Thus, as people are becoming more environment-conscious, they’re looking into opportunities for habitat replacement. Natural habitats will continue being destroyed in the years to come. Thus, the prominence of bird houses and their importance will grow even further. If you’re interested in doing something good for the animals, consider hanging a bird house in the backyard right now. A bird house is a really affordable garden accessory. The market does feature some more expensive options but chances are that you’ll find at least a few products that correspond to your budget. If you don’t have the money to buy a bird house right now, you can always make one on your own. Getting started with bird observation and creating a man-made habitat for the species being displaced isn’t that costly. Just do a little bit of research and compare products side by side to identify the bird house that’s just right for you. There’s nothing simpler than assembling and hanging a bird house in your backyard. If you’re concerned about the birds, you can easily add a feeder to the installation. This decision will bring you tons of satisfaction and enjoyment in the months and years to come. Connecting with nature and observing its magnificence is a perfect form of stress relief and it will definitely make you feel good.